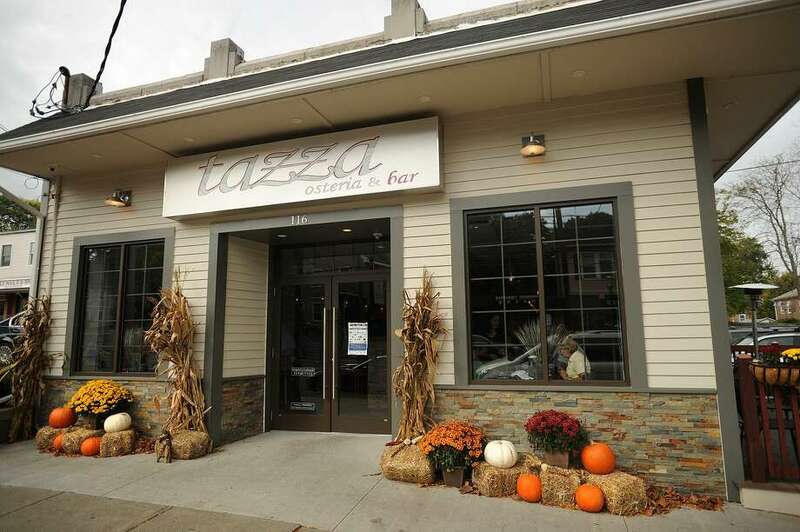 A man ahot himself in the buttocks Friday night at Tazza Osteria & Bar at 116 Post Road in Fairfield, Conn.
FAIRFIELD — A Bridgeport man said he was reaching for his wallet to pay his restaurant bill when he shot himself in the buttocks March 24. Police said Michael Southmayd, 56, may face charges of unlawful discharge of a firearm in connection with the incident, which unfolded around 8:30 p.m. at Tazza, 116 Post Road. Southmayd was there dining with his family, police said, when he said he reached for his wallet and somehow pulled his firearm from the holster and shot himself. They bullet was lodged in the floor, and the casing stuck in the gun. According to the report, Southmayd has a carry permit and had not been drinking any alcohol. Patrons apparently did not become alarmed when the gun was fired, believing that perhaps dishes had been dropped. Southmayd was taken to St. Vincent’s Medical Center for treatment of the wound, which was not life-threatening. Police have applied for a warrant in connection with the incident.